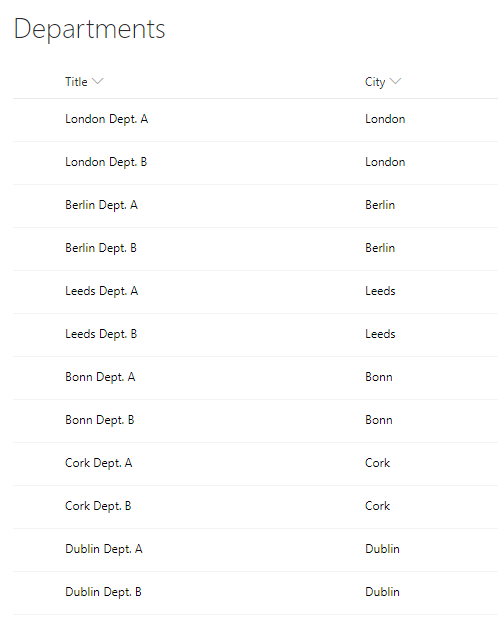 Also, the main list that will be used by Sintel Forms should have both “City” and “Country” lookup fields present. The list should have Sintel Forms activated on it, and these fields should be added to form layout (you can read more about enabling Sintel Forms on a list in this article). Now, this feature is scalable, which means that you can have multiple levels of lookup fields being dependent on each other. To read more about the cascading dropdown feature, and other features of Sintel Forms visit Sintel Forms Help Center page.